T&M Sales, Inc. DBA KAM Sales operates in Georgia, Alabama and the Florida Panhandle. Since its founding in 1961, KAM Sales has developed a reputation for quality representation of leading electrical product manufacturers. KAM Sales maintains a 30,000 square foot warehouse with a large fenced area for outside storage. KAM Sales currently warehouses product for 14 of its manufacturers and prides itself on having represented most of its major manufacturers for over ten years. We have a defined plan of succession to ensure our manufacturers continued representation for many years. 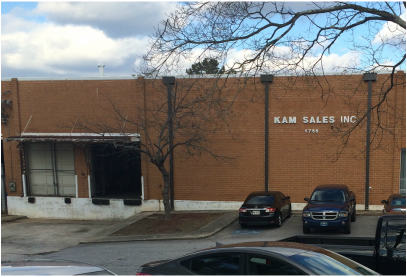 KAM Sales is a member of the National Electrical Manufacturers Representatives Association (NEMRA) and the Greater Atlanta Electric League. Our company's major accounts are with electrical wholesale distributors. These accounts are contacted by our sales team, both in person and by telephone, on a weekly, bi-weekly, or monthly basis. In order to direct business to the wholesale distributor, calls are also made on contractors, specifiers and end users.